A doubly linked list is a linked data structure that consists of a set of sequentially linked records called nodes. It consists of an attribute key and two other pointer attributes: next and prev.The two node links allow traversal of the list in either direction. 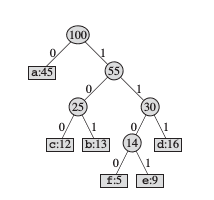 While adding or removing a node in a doubly linked list requires changing more links than the same operations on a singly linked list, the operations are simpler and potentially more efficient (for nodes other than first nodes) because there is no need to keep track of the previous node during traversal or no need to traverse the list to find the previous node, so that its link can be modified. I would recommend you to read C++: Singly Linked List using Template (Data Structure) Because some of the methods used in the program are explained in this post.